"Rae's always dreamed of dating a guy like Nathan. He’s nothing like her abusive stepfather—in other words, he’s sweet. But the closer they get, the more Nathan wants of her time, of her love, of her...and the less she wants to give. Then a tragedy lands Rae in the ICU. Now, hovering between life and death, Rae must find the light amid the darkness…and the strength to fight for life and the love she deserves." First line: "At last I can breathe." Thoughts: FALLING FOR YOU is a compelling, haunting and suspenseful novel that will undoubtedly keep you up way past your bedtime. If anyone asked me what book I was looking forward to the most in 2013, this would definitely be on the list and for very good reasons. 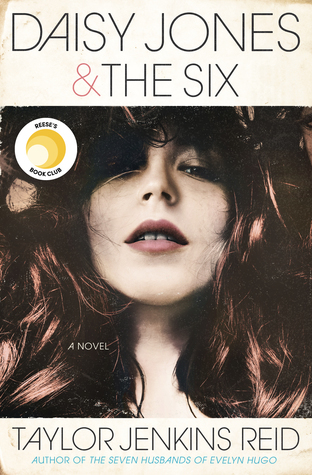 Only Lisa Schroeder can create such a dark world yet shed light to it, break your heart then fix it, and terrify you yet still leave you feeling safe. The story starts off with Rae in the hospital. Since the story is told through her point of view, you don't really know why she's there. All you know is she's both coming back to life and blacking out. In the next chapter, the story flashes back to the very beginning. You're introduced to all the key characters and start learning about Rae's life prior to the accident. I'm really glad the author decided to tell the story this way because it kept me both interested and invested in the story. I loved the mystery of how Rae ended up in the hospital and who (if anyone) is responsible for it. The enigma kept me reading and guessing. Did I guess right? Not at all. I'm usually a pretty good detective when it comes to mysteries, but not this time. Oh, Miss Schroeder...you got me good. That's how well the story is told. I must admit, when I first heard this book would not be told in verse, I was a little disappointed. Where is the poetic justice?! Well, rest assured because while this novel is not told in verse, the narrator does write poetry. That's right, Rae writes these amazing poems with so much depth in them, I actually felt myself tremble. If you love strong yet delicate heroines, you'll easily fall in love Rae. 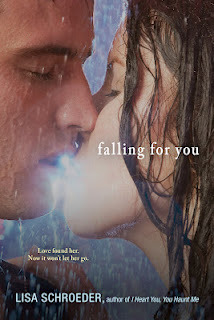 Overall, I highly recommend checking out FALLING FOR YOU, especially if you're a fan of darker contemporary novels. It's not an easy read, but I promise you that there is light to all of it. Upon finishing this novel, I couldn't help but feel extremely blessed for all the incredible people in my life. That's the message I took away from this novel, which is why I think every single person should read it. Tell the people you love how much you love them, never settle for less than you deserve, and live every day as if it were your last. Oh, this one sounds really great! It wasn't very much on my radar before, but now it certainly is. I can't wait to get my hands on a copy! Ooh, I'm so excited for this one! It looks so fantastic!